A senior US energy advisor has lauded Ghana for having an ambitious plan for the development of its energy sector, he says by putting in place all the necessary energy policies such as the renewable energy policy, it is time for implementation to drive energy sector growth. 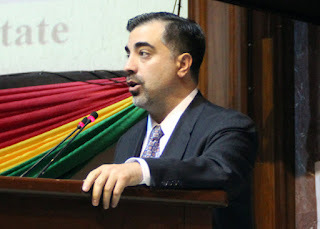 “Ghana has an ambitious energy plan and its time for implementation,” Raffi V. Ballian, Senior Renewable Energy Advisor at the US State Department told ghanabusinessnews.com in an interview May 14, 2013 in Accra. Mr Ballian praised the level of energy access in Ghana and indicated that Ghana was selected as a pilot Sustainable Energy for All (SE4All) country because of the progress that has been made, despite the immense challenges. According to the revised national energy policy document in 2009, the Ghana government’s fundamental goal of development agenda as enshrined in the Growth and Poverty Reduction Strategy (GPRS II) is to grow the economy to a middle income status of $1,000 per capita by 2015 and also to reduce poverty amongst Ghanaians. “To achieve the projected GDP of $1,000 per capita, Ghana’s total energy supply is expected to grow significantly,” the document said. It however noted that the challenge is how to increase the energy supplies and also expand the energy infrastructure in order to achieve the development targets as Ghana is well endowed with a variety of energy resources including biomass, hydrocarbons, hydropower, solar and wind as well as the capacity to produce bio-fuels and nuclear energy. In response to the priority developmental objectives of the Ghana government, the country’s vision for the energy sector is to develop an “Energy Economy” that would ensure secure and reliable supply of high quality energy services for all (both urban and rural) Ghanaian homes, businesses, industries and the transport sector while making significant contribution to the export earnings of the country, the policy document stated. At a discussion forum held at the US Embassy in Accra to identify possible solutions to Ghana’s primary energy challenges, Mr Ballian noted that local capacity is a critical element in having skills for future energy projects. He was of the opinion that energy programmes funded by donor agencies and countries help but those are “not sustainable”. On renewable energy transformation, Ballian said Ghana and many other countries have priced themselves out of it due to prohibitive customs tariffs. He explained that a low cost renewable project developed for the poor faces customs tariffs rather when importing them hence the price of the renewable initiative meant for the poor goes higher.